The fears of India deviating from its target of reducing public debt come at a time when India's GDP expansion is expected to slow down due to demonetisation. The IMF expects India's growth rate to fall to 6.6% for 2016-17, from its previous estimate of 7.6%. Echoing Reserve Bank of India (RBI) Governor Urjit Patel's views, the International Monetary Fund on Tuesday advised India to continue its focus on reducing public debt levels in the medium term. "Countries with higher public debt levels, like India, should continue to implement their medium-term plans to reduce debt and deficits. 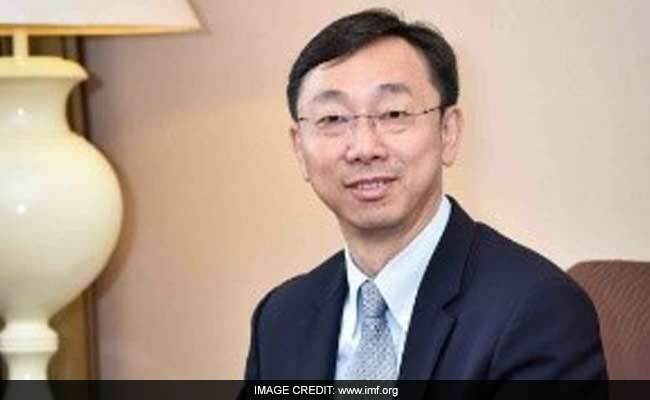 Japan and Malaysia should develop plans in these areas," IMF Deputy Managing Director Zhang Tao said in his address at the Asian Financial Forum, Hong Kong. Last week, Mr Patel in a speech delivered at the Vibrant Gujarat summit had cited India's public debt, which is "amongst highest in the group of G-20 countries", as an impediment in the way of a credit rating upgrade from international ratings agencies. The fears of India deviating from its target of reducing public debt come at a time when India's GDP expansion is expected to slow down due to demonetisation, which , according to economists and experts, is likely to pull down the growth momentum. The IMF itself expects India's growth rate to fall to 6.6 per cent for 2016-17, from its previous estimate of 7.6 per cent. India's economy had expanded at 7.6 per cent in 2015-16. Finance Minister Arun Jaitley is set to present Union Budget on February 1 amid predictions of relaxing fiscal deficit targets by the government to maintain the growth momentum, which has taken a hit due to demonetisation which sucked out 86 per cent of the currency from the economy.